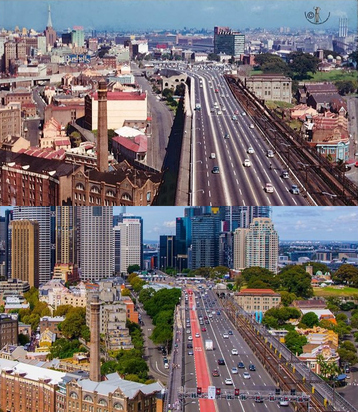 Sydney Then and Now is one of my new favourite Twitter accounts. I love seeing all these now-familar sites and how much has changed. The photo above is the approach to Sydney from the Harbour Bridge in 1956, and 2016.